Free Delivery on all orders to UK Mainland (excluding Scottish Highlands and Northern Ireland). 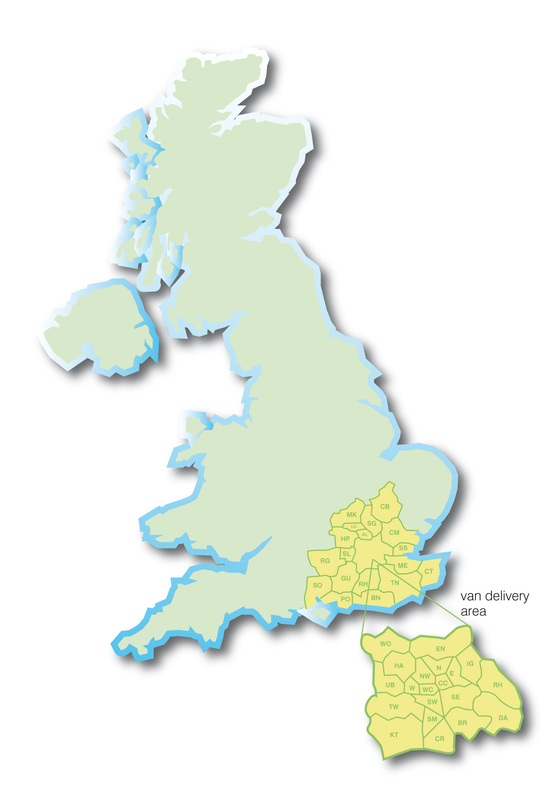 Our own vans cover the South East England area shown on the map. Orders despatched via our own vans are normally receievd within 2-3 days of order being placed. Order despatched via third party carrier are normally received within 48 hours of order being placed. For clarification on any of the above please call 020 8676 7568. Deliveries to Scottish Highlands and Northern Ireland, are charged at £12.00 per consignment. 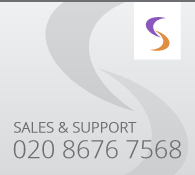 For prices for delivery to overseas countries please call 020 8676 7568.